I ended my 2016 and started my 2017 by doing something adventurous. 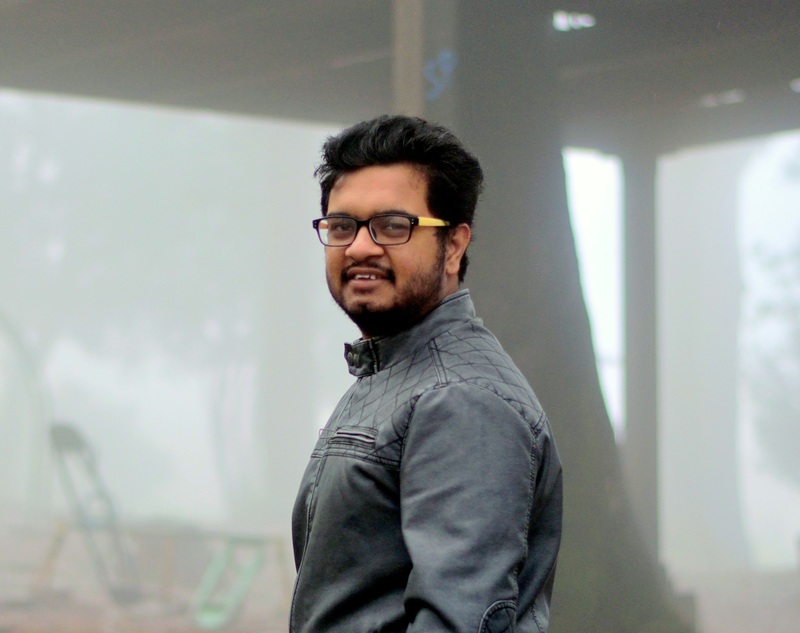 I went for the first trek of my life and it was an amazing and beautiful trek to Tadiandamol Peak located in Coorg. 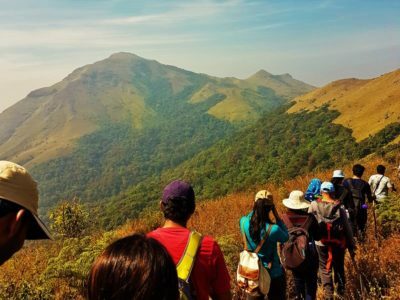 Tadiandamol peak is the highest peak of Coorg or Kodagu district located in the state of Karnataka and is one of the most famous trekking destinations, too, in India. 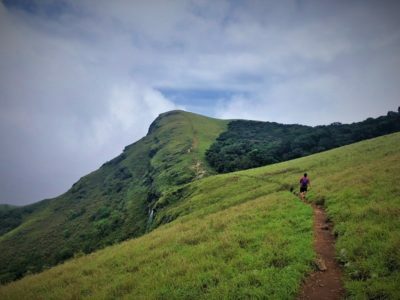 You can read about my first trekking adventure to Tadiandamol Peak. So, as I said – it was my first trek – I was obviously excited but at the same time a little scared too. I took a trekking package with GetBeyondLimits, which included transport, accommodation, trekking, and almost everything needed. On their website, they also suggested the list of things that you need to carry, for example, the number of clothes, socks, medicines, etc. I took extra care while packing things because you never know what and where you may need something. As it is said – ‘ Everything comes at the expense of experience.’ Hence, despite this much preparation, I learned a few things during the trek. In this blog, I am sharing those few but important things every first time trekker should take care of. The first thing you must do, especially if you are a first-time trekker, is to research about the place. You can search for things like the temperature of the place, not the average temperature but for the day, you are going for the trek. Next important thing is to understand the terrain, for example, what kind of trek it is, whether it is a moderate, easy, or hard trek, what the inclination is, the total distance of the trek, and much more. Searching for all the details will help you gain knowledge about the place and help you in building a mindset and this can be the most important trekking preparation tips. In this way, there are fewer possibilities that you are going to face any surprises during the trek. Moreover, you will be fully prepared and can enjoy the trek. You can find all the information on Google. Not only the basic information, but there are many people or I should say travel bloggers who share their experiences on the blogs. You CANNOT ignore this piece of advice if you are a first time trekker. 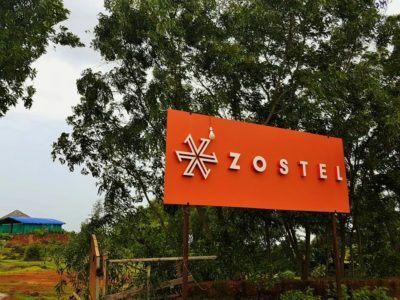 Well, this is applicable for everyone, whether this is your first trek or the hundredth otherwise, you will be super-tired after the trekking. As mine was the overnight journey to the destination, I was supposed to take a deep sleep but I did a terrible mistake on the way. Our bus stopped at a coffee shop at around 2 AM and I had a large cup of latte. God knows what I was thinking of that time. After that, my whole journey was a sleepless journey and as expected, at around 8 AM I was tired and feeling sleepy. However, somehow I managed to complete the trek. Hence, it is my request to everyone, especially the first time trekker, please have a good night sleep so that you can feel fresh and be full of energy on your trekking day. Otherwise, you will be tired soon and give up! Yes, we have read everywhere that breakfast is the first meal of the day and it MUST be heavy because you need the energy to survive the day. However, if you are going for the trek, avoid having heavy breakfast. Doing so will make you lazy and sleepy early on your trek, especially if you face extremely inclined trail in the beginning. Hence, have a moderate meal so that you can have enough energy and do not feel lazy during your trek. Moreover, it is important that you enjoy your trek to the fullest. We were recommended to carry 2L of water during the trek and we obeyed the orders. However, 2L of water was not enough. During the months of Dec-Jan, the weather at Tadiandamol Peak remains normal, meaning neither hot nor cold, also, there are NO rains at all. Because of this, all the small water streams and falls are dry and there are no water sources for you to refill your water bottles. During the trek, the sun was on our head and we were not even halfway to the peak – everyone’s water was over. We were literally thirsty and asking for water from everyone, but the only answer we were getting was NO! Luckily, near the big rock, we found a small stream of fresh water from where everyone filled their water bottles, which was enough for the remaining trek. Hence, if you are not going for the trek in or just after the monsoon season, PLEASE carry at least 4L of water in your backpack. 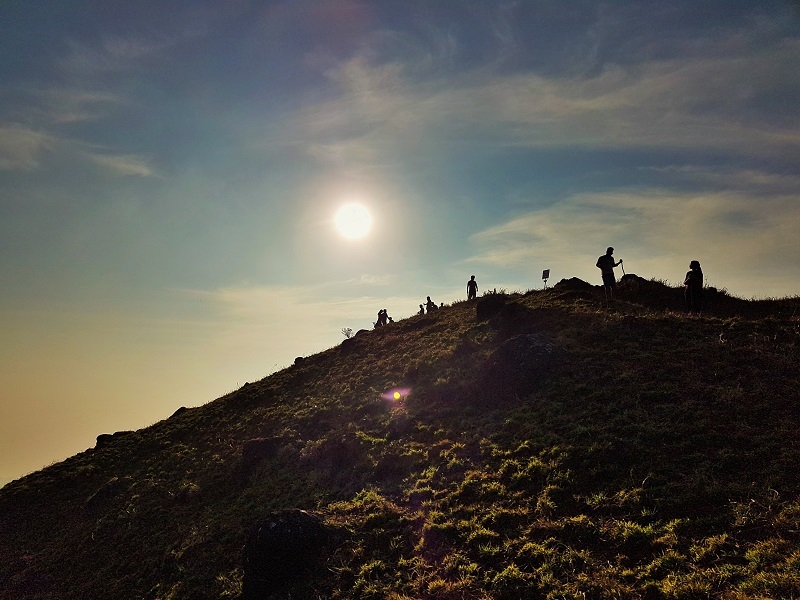 The instructions that the trek guides and website give you are generic and hence if you are going for any trek in Karnataka in the months from November to May, please carry enough water in your backpack. Trekking means rough terrain, inclinations & declinations, and many surprises on the way. Hence, make sure you wear shoes with a good grip so that you can have a good hold of the ground. As you also have to carry your backpack during the trek, wearing shoes with good grip will give you good support, especially in the trails, which are narrow but highly inclined. A weird advice though! Higher chances are you are not going to find the signals for your phone during the trek, especially at the heights but at the base camps and at lower heights, you will find the signals. During the treks, especially in the jungle treks, though there are fixed trails, but still there are chances that you get lost or miss the group. In such scenarios, your phone can be the savior. Therefore, whether you want it or not, please keep your phone fully charged throughout the trek. Apart from this, phones also are a very good camera and hence, taking selfies won’t be a bad idea. In the smart phone age, phones are connected to the charger more than they connect us with our loved ones. The batteries, today, cannot last long even for the whole day. Hence, carrying a power bank during the trek will not be a bad idea. Keeping your phone charged throughout the trek will not only let you take a lot of photos but also can be a big help in situations explained above. Therefore, do not forget to carry a power bank during the trek. You cannot ignore this piece of advice under any circumstance and this one of the most important health tips for trekking. Keeping your body hydrated during the trek will help you remain calm, fresh, and energized. Especially if you are going for the trek in the months from November to May, the temperatures are high and can make you feel dehydrated. If you want your trek to be comfortable and easy (which are not meant to be), avoid carrying anything, which is useless. Tip 10. Be strong & Just Go! If you have taken care of everything mentioned above, then what are you waiting for? Just pack your bags and GO!!! Don’t be scared. Everything is scary at first until it is done. For me, the trek to Tadiandamol Peak was an amazing experience. This trek taught me, WHETHER YOU WALK FAST OR SLOW, AS LONG AS YOU’RE MOVING. So, these are few important trek preparation tips or you can say tips and tricks for every first time trekker. Everyone must go for a trek at least once in their life time. It is the activity, which will let you unleash your true potential! Though this was only my first trek and hence, there is so much to learn. If you have any more important tips and ideas for the first time trekker or any suggestions we need to keep in mind while going on the trek, do let me know in comments! How To Book A Dormitory From IRCTC Website?